If you think your Zombie Response Unit has what it takes to make the cut and take the title, be sure to sign up for the show. 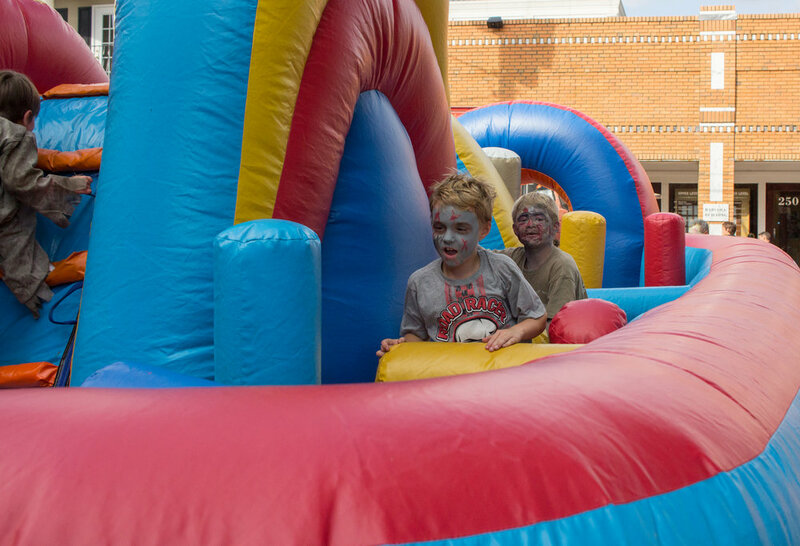 Bring all your Little Zombies to the Zombie Fest! It may be the only time you don't mind the little Monster in them coming out. We have plenty for them to do. There will be inflatables, inflatables, inflatables! There will be food trucks, two of their favorite things - FOOD and TRUCKS - TOGETHER!!! There will be games for them to play and photo stations with backdrops and props so that you can get some great pictures of all your little creatures. Whether you have a princess or a pirate, they will all have a chance to walk across the big amphitheater stage during the LITTLE ZOMBIE WALK AND HALLOWEEN PARADE! And all the kiddies will get to go back on the big stage and show us their dance skills during Enzo's Zombie Dance Party! Some people come for the fantastic food trucks, some for the perfect people watching opportunities, but it's the music that really brings the dead back to life at this event! There's plenty of room at the new Northside Hospital-Cherokee Amphitheater to bring a chair, grab a drink and some tasty food, lay back and enjoy some great music. Original songs or covers, it's all good! 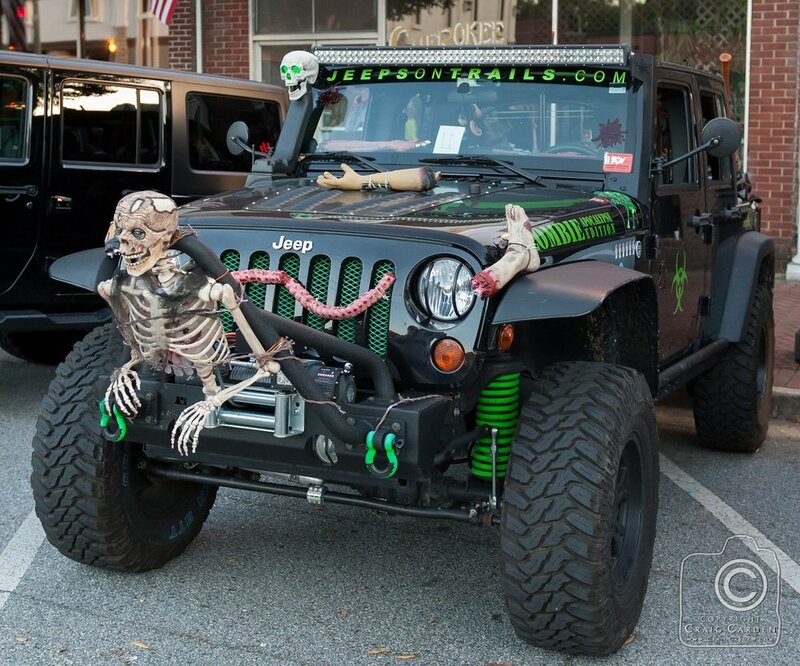 We know that Zombie's have GOT TO FEED! We bring a wide variety of food flavors to be sure that there is something for everyone. And it is ALL GOOD! If you are one of our zombie fest regular Food Trucks, we can't wait to have you back and we would also love to hear from you if you are new to the greatest Zombie fest ever! Check out the Vendor page on this website for more details. Watch for the double sided Beer Trailers throughout the event site. All brews at the official Zombie Fest beer trailers only $5.00. Have another icy cold one and take on all the sights and sounds (blood dripping zombies and screams that is) of the Festival. 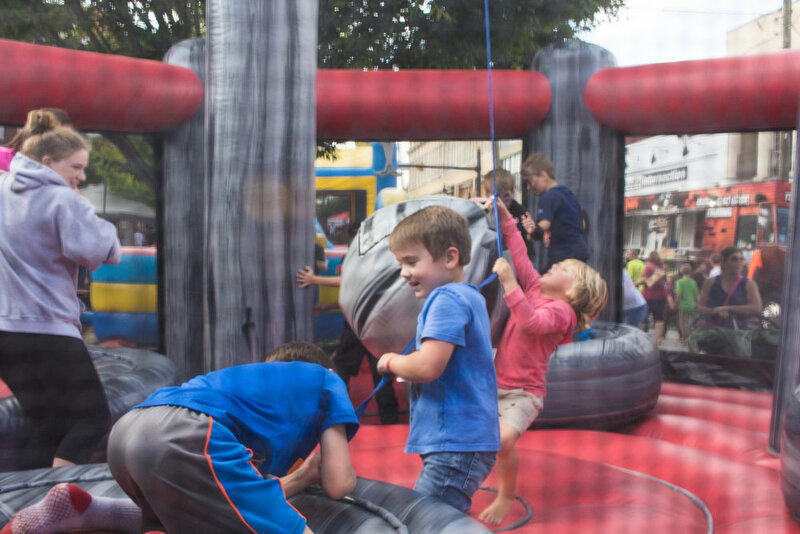 Play some carnival games, do some shopping with our fantastic array of vendors, take some photos, grab another brew, sit back on any of the convenient terrace level spots and enjoy the entertainment! Get back up, do some dancing and enjoy the rest of party into the evening. It is a night of the living dead, and you could definitely be dead on your feet after shopping all our terrific vendor booths. Pick up some of the new trendy medal artwork, find that perfect outfit to wear when your back among the living, get some yummy boiled peanuts, or a tasty treat like these cupcakes. Oh, and don't forget to get your limited addition 2018 Zombie Fest T-Shirt either. It you are interested in finding out more about becoming a Zombie Fest vendor, head to the vendor page on this site. We encourage everyone to dress up as a zombie, cosplay, or favorite Halloween go-to alter ego and come out to the event. But if you didn't get a chance to do your makeup before running out the door, no worries. Be sure and visit our ZOMBIE TRANSFORMATION STATION. 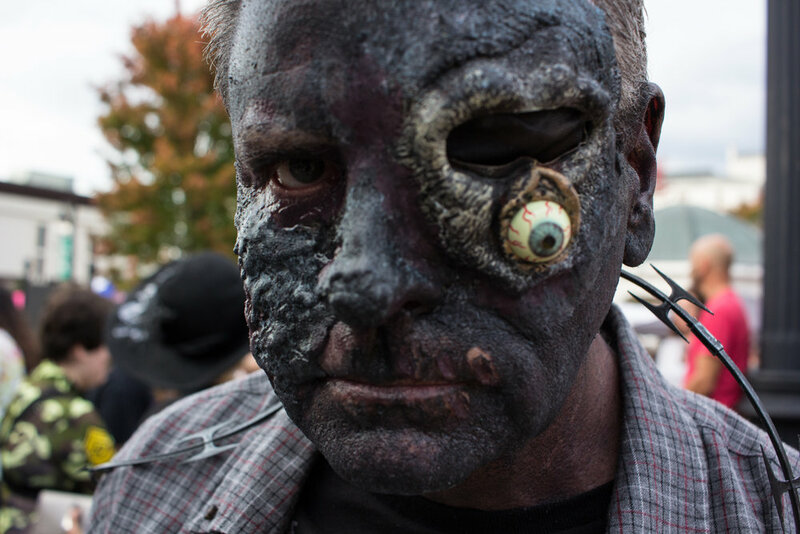 For only $5.00 our zombie transformation artists can make you the scariest walker ever! It's a Zombie Festival. There's a Brain Eating Contest. Why wouldn't there be? 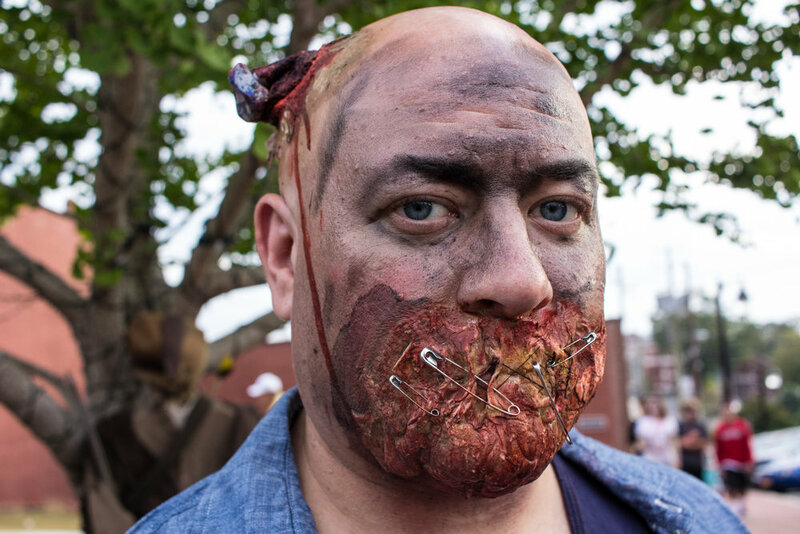 Watch for signs and information when you enter the Zombie Fest on where to sign up to become the 2018 Georgia Zombie Fest Brain Eating Champion. The trophies are Awesome!